Chicken wings may seem like a straightforward food item. Yet the variety of preparation methods, the sorts of seasonings you can add and dips that you can pair them with open up a world of possibilities in terms of flavor combinations. A popular dish is Buffalo wings. Originating in Buffalo, New York, it is perfect for people who can’t handle too much spice but would love a bit of a kick. The wing is covered in a vinegar-based cayenne pepper hot sauce and melted butter. If you ever thought that the spice was a bit overwhelming, you can pair it with a blue cheese sauce to tone it down. Another well-loved flavor is barbecue, which also packs a punch. You could season the wing itself with BBQ or dip a regular chicken wing in the sauce afterward. Find out which chicken wing flavor matches your personality in this fun quiz. You may even find yourself loving a new dish after this! Pick a flavor of chicken wings! Pick a way to cook the chicken wings! Pick a dipping sauce to go with the wings! Pick an occasion to eat wings! Pick a number of chicken wings to eat! Pick a number of ketchup packets! Pick a city you would most want to have your chicken wings in! Pick a messy eater you most identify with! Pick a way to clean your fingers! Pick a restaurant that serves chicken wings! Pick a part of the chicken! Pick a celebrity eating chicken wings! Pick a snack other than chicken wings! 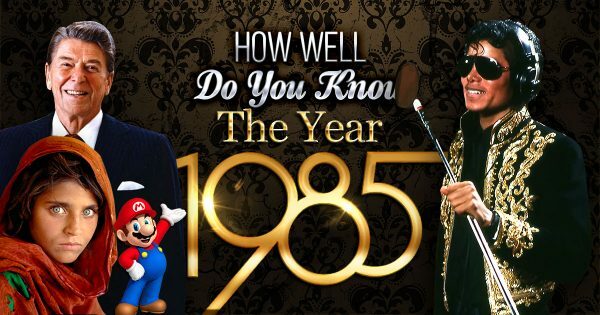 How Well Do You Know The Year 1985?